Approximately 35 percent of the U.S. population has metabolic syndrome, a combination of conditions that increases a person’s risk for heart disease. Individuals with metabolic syndrome are twice as likely to develop heart disease and five times as likely to develop diabetes. With support from the McGowan Fund, an innovative study at Rush University Medical Center in Chicago is investigating whether a lifestyle-modification program can reverse the early stages of metabolic syndrome and provide long-term protection against heart disease. The Eat, Love, Move research study was created by Lynda Powell, PhD, a preventive medicine specialist, and a multidisciplinary team of practitioners at Rush. In 2010, the McGowan Fund provided initial funding for a proof-of-concept study on the efficacy of the Eat, Love, Move program. 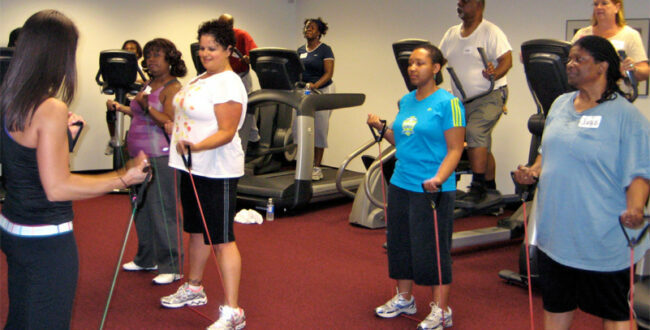 Over the course of one year, participants met weekly for exercise and nutritional counseling. They also prepared and ate meals together in a relaxed, supportive setting. By year’s end, the program had easily achieved its goal of eliminating metabolic syndrome in 50 percent of participants. Encouraged by the results, Dr. Powell decided to test the long-term sustainability of Eat, Love, Move, and she knew just the right partner. In 2011 the Fund provided an additional two-year grant for a multi-year randomized study.